Topsoil is a nutrient-rich layer of soil that provides plants with organic matter and nutrients in order to optimize growth. 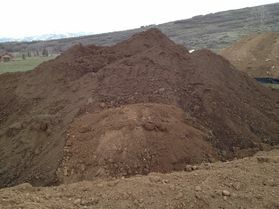 Like the name implies, topsoil sits on the top few inches of lawns, planters, and flower beds. With this higher concentration of nutrients, the faster and fuller the grass, sod, plants, trees, and flowers will grow. In addition, topsoil provides protection against direct sunlight, excessive moisture, and some garden pests. Topsoil greatly increases the chances that you'll have a thick, lush, green lawn and healthy, beautiful plants. 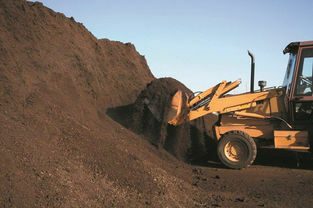 Green Thumb Lawn & Landscape offers wholesale pricing and delivery of high quality topsoil. 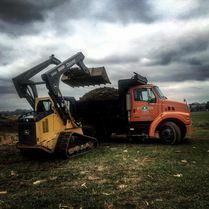 Our topsoil includes tilled and untilled topsoil and we have delivery options for both large or small dump truck loads. We serve Campbellsville, KY and all surrounding towns and counties in Central Kentucky. Call Green Thumb Lawn & Landscape today at (270) 403-1608 to discuss your topsoil needs.